BOLD towers and wind turbines catch the morning light in northwest Indiana. 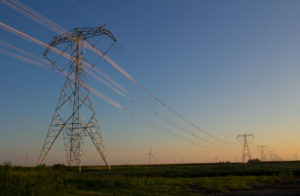 The approximately $26 million project involved station improvements and rebuilding a nine-mile, 345-kV line with the BOLD line to improve capacity without requiring more right-of-way acquisition. The new BOLD lattice structures will maximize system performance while minimizing environmental impacts and overall system costs. The structures are between 15 and 20% lower than the previous structures on the right-of-way. The BOLD towers are roughly a third the size of the wind turbines and 15-20% lower than the previous structures on the line. AEP energized the first BOLD line near Ft. Wayne in November 2016. 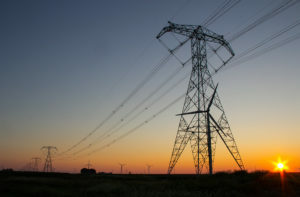 Additional projects are planned across the system, and BOLD Transmission, a wholly owned subsidiary of AEP Transmission, is marketing the technology to other utilities.